You get what you pay for…. that sounds so sassy, but really, it’s true. With us. We’ve carefully selected our balsamic vinegars for the store, and feel confident that the relationship between quality and price is appropriate, relative, and proportional. The real shock for some is that as the price goes up, the size of the bottle goes down. The ultimate traditional balsamic vinegars are silky smooth, syrupy, sweet and incredibly complex. 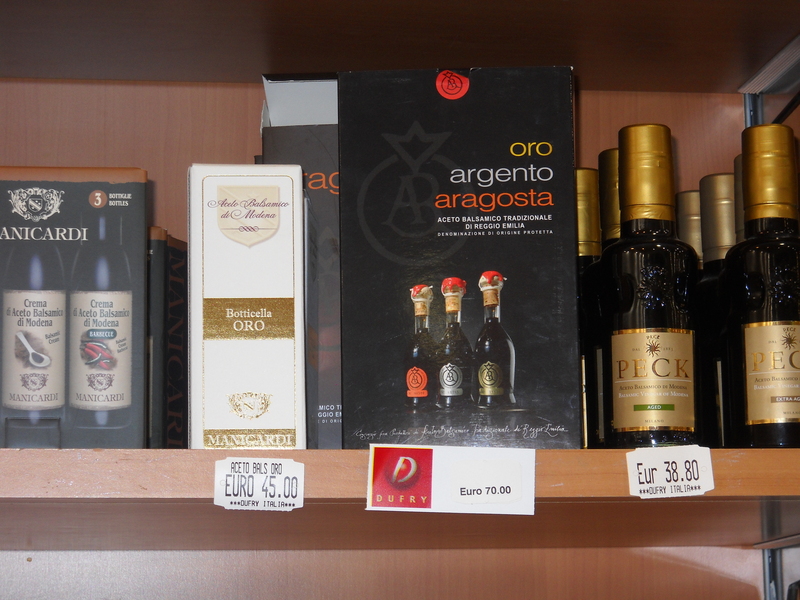 We select products that adhere to the Italian (and European Union) standards for balsamic vinegar. All true balsamic vinegar comes from the region, Emilia Romagna. The region is further divided and controlled by two consortia, Modena and Reggio-Emilia. (Still with us)? Each of the consortia bottles their top vinegar (tradizionale) in distinctive, exclusive, bottles. Selections from Modena are in a bottle that looks like a globe on a base, while the selections from Reggio Emilia evoke an upside down tulip or wine glass. With one of those distinctive bottles in your warm hands, and you have 100 ml of the finest aceto di balsamic tradizionale to be found anywhere. The “real thing” will always be in one of these two bottle types. Certified after a minimum of 12 years, the aceto balsamico is called tradizionale. After the 25 year mark, it may be approved as extravecchio. There’s no further designation although some producers have products they deem to be 50 or 75 years old. Regional pride. Both consortia produce fine and exclusive comparable products. Both groups adhere to strict rules, from the production of the grapes to the certification and bottling processes. Until the last couple of years, the Reggio Emilia selections had been packaged in a box that looks somewhat like a book. More recently some producers have selected packaging in a stronger oval tube. The Modena boxes are more cube-shaped. Both packages are well designed to protect the precious balsamic vinegar. Look for the words tradizionale and be prepared to pay dearly. With extravecchio on the label, be prepared to pay even more. Within the past year or so, new regulations have been enacted in Italy (or perhaps the EU). Changes have been made to label standards. When sold in the EU the vinegars may not have the numerals we have been familiar with. In fairness, those numbers have always indicated the vat progression (in the acetaia battery) while some have interpreted those numbers to connote “age”. In order to define them for marketing purposes we are continuing to use the numbers to delineate the age progression. For Aceto Balsamico di Modena, DOC indicates the geographical origin of the ingredients, and also the artisanal methods of production. The IGP label is less restrictive, so when there is a choice, the DOP signifies the more desirable and authentic product. Some very good vinegars are bottled without full consortium approval. They may be made by producers of tradizionale, but aged less than the minimum of 12 years. These are also known as Condimento grade. For a number of years we have referred to the products with their richly redundant names, Manicardi Botticella Oro (Gold) 25. Whether or not the 25 is on the label it is still the same excellent vinegar. The same holds true for Argento “22”. Manicardi 22 and 25, along with the Villa Manodori selections are produced with the same care as traditional balsamics but are not held for the same amount of time. These are a real treat, but not the magical elixir costing $50-$200 more. Further down the line, we have Manicardi 12. 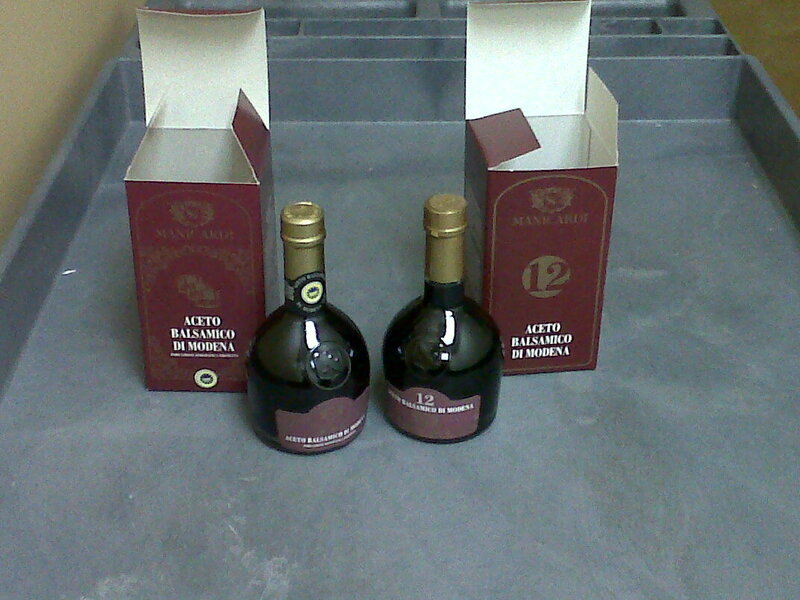 Without the “12” the product long known as Manicardi 12 carries the rather generic name Aceto Balsamico di Modena DOC….We have continued to use the number 12 for continuity, and have received this product with a variety of labeling in the past year. We regularly consume this at home, and the bottle shape, box and label color scheme, and most importantly, quality characteristics have not changed. This product is in line with a young balsamic. It meets DOC standards, but is not in the same production line as those what will become the finest tradizionale vinegars. It’s nice and perfect for salads. The top tradizionale and extravecchio are for grand occasions. Special birthdays and anniversaries, an incredible wedding gift. A superb business thank you. Used by the drop. A complex treat on fresh strawberries or raspberries. The mid products – Manicardi Oro (25) and Argento (22), Villa Manodori Artigianale and Dark Cherry—are also very special albeit with the certification of excellence. Some may use these by the tablespoon with fruit, or cheese, or desserts, or roasted meats. They add a special flare to salads. Manicardi 12 elevates every day salads. It is richer and smoother than other selections in the price range. We think this is spectacular with a good combination of extra virgin olive oil, garlic, salt, and freshly ground pepper, on lovely greens. 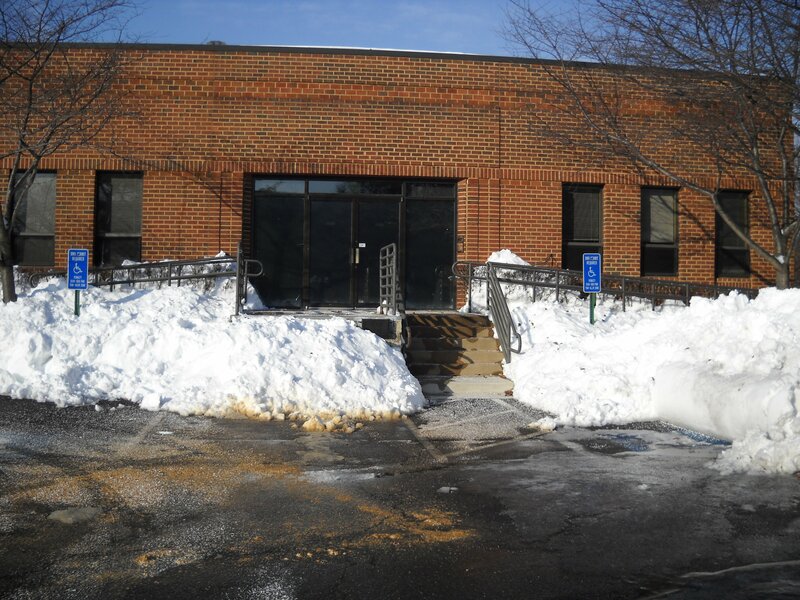 The snowy loading dock at Olio2go’s World Headquarters. After the big weekend snowstorm, we braved the snow and ice to pack holiday gifts at Olio2go. You can bet that the UPS driver was not amused when he could not reach our loading dock. But, somehow, all of the orders that came in through the weekend snowstorm made it out on Monday. It’s been a great holiday season with Da Vinci Crude (sold out), Azienda del Carmine Sampler Gift Set (just a few remaining), Towers of Tuscany (sold out), the Manicardi Gift Set, and of course, the Novello olive oil selections, including Tenuta di Capezzana and Olio Verde.